Uitspan Baviaanskloof is located in the Western part of the Baviaans, 45 km from Willowmore and 10 km from the Nuwekloof Pass. 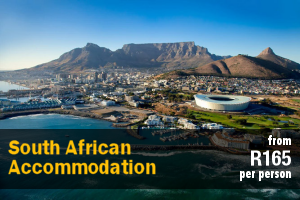 It offers quality accommodation for a family or group of friends. 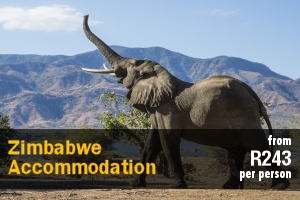 The accommodation comprises 3 chalets, 1 double room and 2 covered caravans. Luxurious camp facilities. Chalet 1 can accommodate 2 adults and a child on a sleeper couch. Chalet 2 is a double-storey, wooden house and can hold 6 guests. Chalet 3 is ideal for a family and can accommodate up to 12 guests at a time. These chalets all boasts a beautiful view of the mountains. 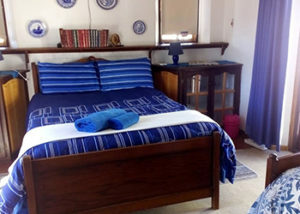 The double room is ideal for a couple and is situated behind the Lapa. The covered caravans are set up for basic living with their own, private ablution facilities. All of the units have private braai facilities where guests can enjoy preparing their meals together. Zandibela is a 1800 hectare private game lodge located close to the breathtakingly beautiful Baviaanskloof in the Eastern Cape. 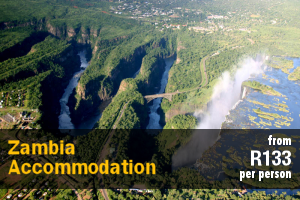 It is the perfect place to soak up the scenery, game viewing and exploring the breathtaking hills, waterfalls and landscapes of the area. 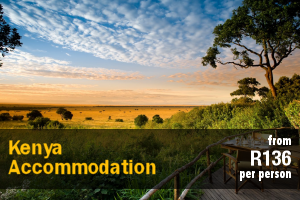 Accommodation is offered in 8 thatched, high-ceilinged and air-conditioned lodges built out of natural stone sourced from the area. All lodges have expansive views across to the horizon and comprise 2 en-suite bedrooms, a lounge, fireplace and a private deck overlooking the game dam. All lodges have extra-length, queen-size beds or, if required, single beds that can be converted to king-sized beds. The romantic honeymoon suite is perfect for that very special occasion with that very special person and includes your own private jacuzzi. The décor is understated luxury, with leather sofas, bamboo ceilings, plump goose down duvets, crisp white Egyptian cotton bed linen, bathrobes and fluffy white towels in the bathrooms. Enjoy sumptuous meals or a traditional braai under a starlit sky at the boma, or just relax and stare into the fire in a meditative trance. Laze at the swimming pool on hot summer days whilst being served tall, cool drinks and enjoy good food and wine in the dining room which has a cosy fire for cold winter nights. Relax at the bar and share conversation with other guests. There are modern conference facilities available for executive conferences, brainstorming and workshops. Zandibela is also available as a wedding venue. 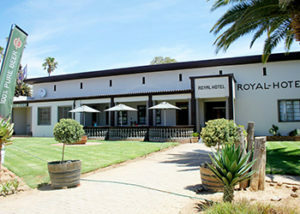 The Royal Hotel is rich in history, tradition and olden day charm. 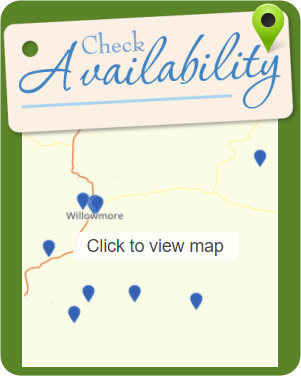 The hotel is located in Willowmore and ideal for tired travelers looking for a comfortable stay. There are 12 rooms, of which 4 are en-suite. The rooms are each furnished with double or single beds, tea- and coffee-making facilities and fan or heater depending on the season. There is a restaurant serving breakfast, afternoon and evening drinks and a bar that lets travelers and locals return again and again. There are also braai facilities available. The large dining room leads out on a green lawn which is perfect for a wedding venue. 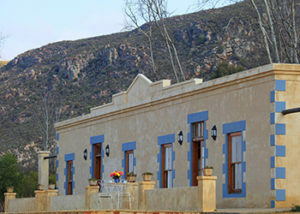 The village Willowmore is located near the entrance of the Baviaanskloof nature reserve and trips can be arranged on request. The old Blackstone power station, which until 1984 provided the town of electricity, is open to visitors. There are many historical buildings, some dating back to the 19th century. Paardekloof Plaas is a working farm in Barandas, which is situated between Uniondale and De Rust. 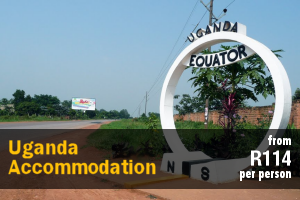 Accommodation is offered in 2 units. 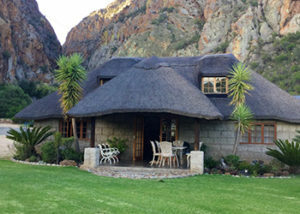 Voorman’s Huisie which is equipped for self-catering and can accommodate up to 4 people. The house has a bedroom with a queen-size bed. Two single beds are available in the lounge, and on request, a mattress for a child can be added. The house has an open-plan kitchen and guests can relax in the lounge. The unit does not have a TV, and there isn’t any internet available. 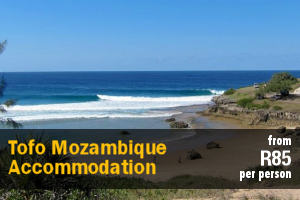 Coetzee se Woonstel is an open-plan apartment featuring a queen-size bed and a bathroom with a shower. The kitchen area is equipped with a fridge-freezer combination, 2-plate stove, microwave and kettle. Braai facilities are also available. Firewood is provided for the first night. Please note the units are non-smoking, and pets are unfortunately not allowed. Farming activities on the farm consist of lucerne, bale and sheep, and guests can partake in various activities such as walking, cycling, swimming in the dams, and there is a lot of space for children to run and play. Guests can watch daily activities such as the milking of the cows, and feeding of the lambs, and at night guests can watch the starry sky. Rens Reich Country Estate B&B offers guests a relaxing stay on a working farm in the Olifantsriver Valley, and overlooks the mountains. 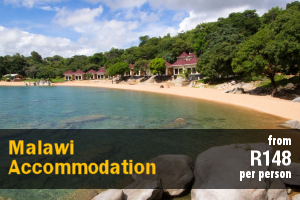 The guest house offers 4 private units including 3 Rooms and a Rondawel. Guests will have access to a communal lounge and dining area. The 3 rooms are furnished with comfortable three-quarter, double or queen-size beds, and the rooms share bathrooms with a bath and a shower. 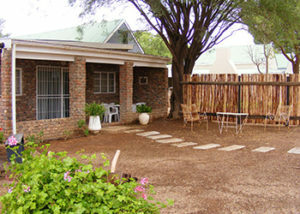 Fans, as well as tea and coffee facilities, are provided and the rooms open onto a stoep. The Rondawel is surrounded by trees and is ideal for those who enjoy camping. The unit is furnished with twin beds, and makes use of a separate bathroom with a shower and a toilet. The unit is also equipped with a fridge-freezer, a microwave, a 2-plate stove and oven, as well as cutlery and crockery. A separate unit contains the shower and toilet. 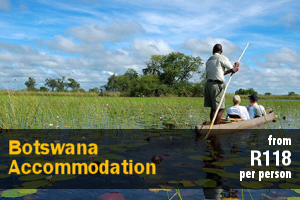 Separately from the main guesthouse, there is a 4-bedroom self-catering farm house, a 3-sleeper cottage and a campsite. These accommodation options are pet-friendly. The cottage and campsite have access to ablution facilities. Braai facilities, as well as parking, are available. Please note the farm is reached by a gravel road which is in a good condition. Farming activities consist of Angora goats and seed vegetables, and guests can explore the farm on foot or by cycling. In summer, guests can also cool down in the dam. 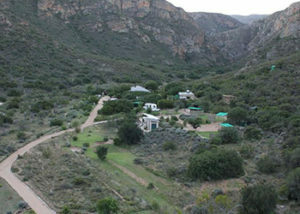 Kouga View Game Farm owned by Gert and Carol Coetzee since February 2011, who originate from Mpumalanga. 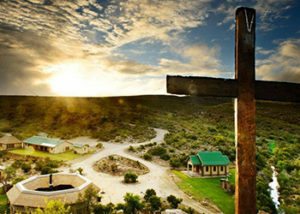 Situated in the Western Cape, approximately 39 km from Uniondale on the N9, and 37 km from Willowmore. Duiwekloof Lodge offers self-catering units and is located on a privately owned farm, situated in Baviaanskloof Nature Reserve. Ideal for guests looking for a tranquil breakaway, away from the hustle and bustle of city life. 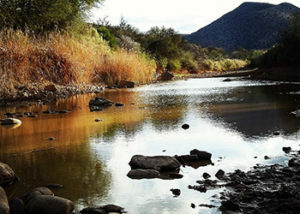 Bhejane Game Reserve is tucked away in the picturesque Groot River Valley, halfway between Steytlerville and Willowmore, on the western side of the Eastern Cape. 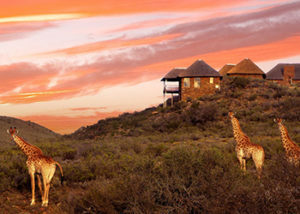 Bhejane Game Reserve is just north of Baviaanskloof and offers visitors an experience of the bushveld life. 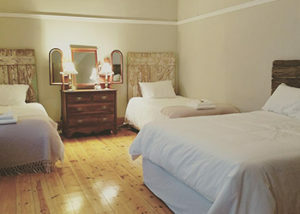 Our B&B will take your breath away with our vintage ambiance and big old house rooms. Come and enjoy our modern catering and hospitality with the fresh flavor of the Karoo. 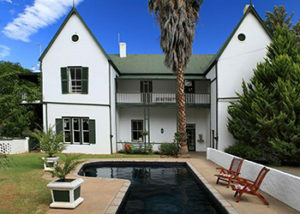 The Old Jail is situated in the peaceful farming town of Willowmore and offers a unique experience for tourists, business travellers and sports enthusiasts seeking quality accommodation in the Karoo. 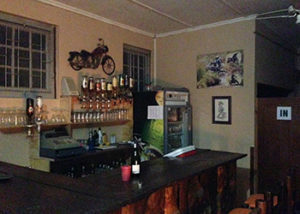 Jumper’s Place is known for it’s hospitality, and close proximity to adventure routes for the motorcycle and 4×4 enthusiasts, and offers comfortable backpackers accommodation in the town of Willowmore in the Eastern Cape. Villa d’Lockyer is a delightful lodge situated in Willowmore, conveniently located on the N9 between Graaff-Reinet and George in the heart of the Little Karoo. 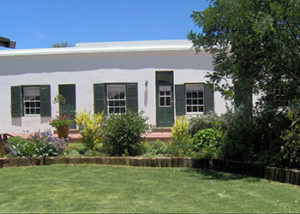 The cottages are tastefully decorated and are fully equipped for self-catering. 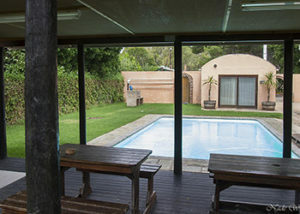 Guests can enjoy the beautiful farm garden, have a swim in a rock pool or have sundowners and a braai in the gazebo. 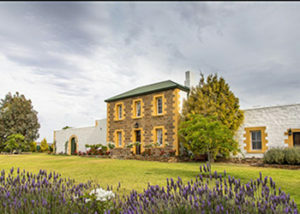 Keurfontein Country House is situated on the N9, between Willowmore and Uniondale, and is easily accessible from the main road. It is therefore the ideal stopover for travellers between Gauteng and the Garden Route.